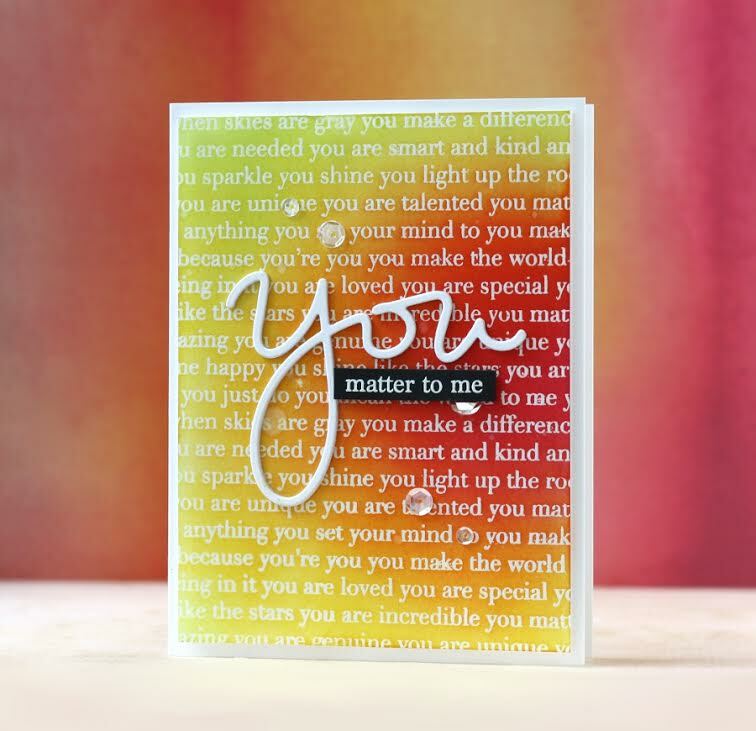 Simon Says Stamps And Dies YOU MATTER Set271YM at Simon Says STAMP! 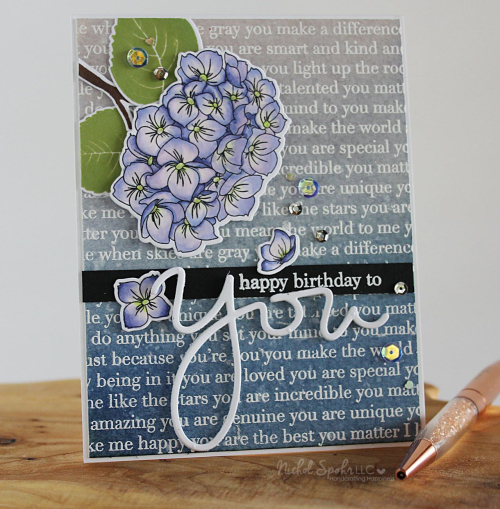 Success, Simon Says Stamps And Dies YOU MATTER Set271YM has been shared! Set of high quality clear stamps with the coordinating dies and a background cling stamp! The full sheet of clear photopolymer stamps measures approximately 4 inches x 5 7/8 inches and is named You Matter (SSS101645). The coordinating wafer die is named You (SSSD111623). The 6 x 6 background cling stamp is named You Matter (SSS101646).